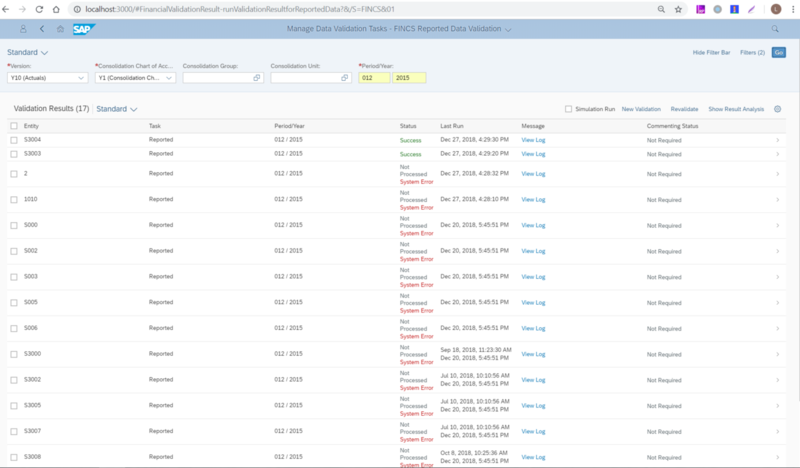 For a long time I have been using WEBIDE to develop fiori apps. Although I benifit a lot from webide, it is really powerful, but because of slow network, I often came across some problems to launch workbench, to save code, to test run apps on fiori launchpad, and even sometimes I lost codes. And also I use eclipse with tomcat to write js code and deploy apps locally. until some days ago, tomcat suddenly did not work any more, after spending a lot of time investigation I gave up finally… And i start to find out another way to test my apps locally. 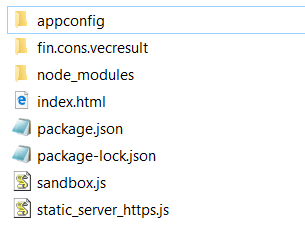 after research, I found there are also some approach working with fiori and node.js together. However, some details still not very clear like proxy. all these key files can be found on github. <script id="sap-ui-bootstrap" src="../resources/sap-ui-core.js" data-sap-ui-libs="sap.ushell, sap.collaboration, sap.m, sap.ui.layout"
use express, very simple to create a sever and plus ‘express-http-proxy’ and ‘http-proxy’ http request can be converted to https, and odata request can also sent to real backend server. by default request to system er9 will be sent to client 001, for our case client 500 is needed, so can write proxyReq header in the event ‘proxyReq’. 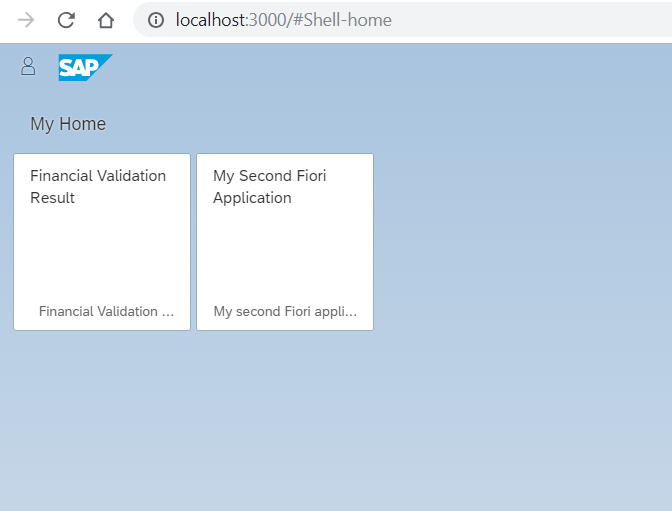 "description" : "My second Fiori application"
With this simple practice you can develop apps from local workspace. although there are some limitations like cross navigation, run unit test… I am also look forward if someone can find way to solve these issues. Great blog. Just asking myself why I didn’t think of that. Can’t wait to try this out. Thanks for your encouraging. Besides i have a question which you can help to answer. For a real Fiori Launchpad tile, we can add url parameters when creating the tile. But how can this be done through fioriSandboxConfig.json. For example, the app i created in this article its real url is like ‘localhost:3000/#FinancialValidationResult-runValidationResultforReportedData?&/S=FINCS&01‘, is it possible to add parameters ‘?&/S=FINCS&01′ infioriSandboxConfig.json?